Clear-headed analysis leads to a fiscally and economically sustainable future, while a lack of analysis exposes regions and states to unforeseen risks. REMI is offering a four-part webinar training series to demystify economic impact modeling and share best approaches for sound policy evaluation. 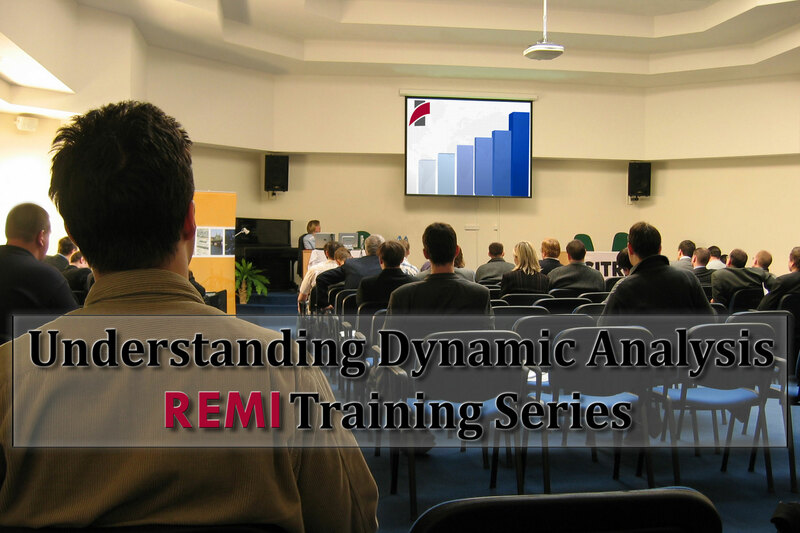 REMI economic associates William Kozlowski and Elliot Jerry will describe the fundamentals behind REMI’s PI+ and Tax-PI models and demonstrate the range of analyses that can be conducted with these tools. This webinar series is designed to show both long-time users and anyone interested in economic modeling the most effective ways of simulating policy changes and telling an economic story through the results. The first session will focus on REMI 2.2, guiding users through the updated interface and offering insight into how to make the most of the new experience. We will begin this training series with an introduction to the most advanced generation of our suite of economic models – REMI 2.2. We will guide attendees through the enhanced user interface, highlight the newest features, and share recommendations on how to make the most of the updated modeling software. Through this webinar, we will provide long-time REMI users with greater familiarity of the latest changes, while also offering new users with an overview of the software. One of the most popular uses of the PI+ model is creating regional economic forecasts. MPOs, state fiscal offices, and many other organizations rely on these forecasts for reporting and analysis projects. The second session will explain how forecasts operate in the REMI model, and will train users in forecasting best practices. We will demonstrate how the baseline forecast is calculated, and show how to integrate policy analysis to create an adjusted projection. By the end of this webinar, attendees will understand the assumptions of the REMI baseline forecast, and be able to craft their own adjusted economic outlook. Those who design, implement, and analyze policy all want to know the potential future effects on employment, production, and other key economic indicators in their region. This 45-minute webinar will explain to users exactly how they can translate policy into REMI input variables, how those variables are analyzed by the key structures of the model, and how users can transform the model estimates into actionable policy insights. Attendees will learn to more quickly and accurately translate policy goals into a convincing economic story. Any policy that affects population, taxable income, or GDP will also affect government revenues. Similarly, tax policy will have repercussions on the implementation of policy. To gain a more nuanced and robust understanding of a situation, policy analysts must consider the effects of government revenues and taxes. This webinar will introduce past uses of the Tax-PI software, analyze a hypothetical policy and tax change, and explain the output in terms of the structure of the Tax-PI model. Users will gain a theoretical understanding of the link between tax policy and key economic values in the Tax-PI model, as well as a concrete understanding of how to analyze real-world situations through the lens of the software.